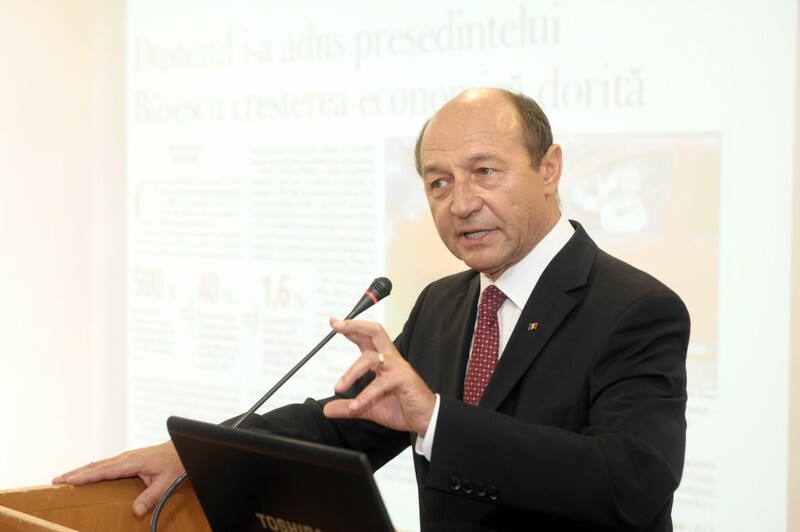 Romanian president Traian Basescu (in picture) has recently asked for a revision of the country's Constitution, introducing a new chapter on financial policies. The revision draft, published by the Romanian Presidency, states courts will not be able to decide on fiscal and budgetary policies, as these areas fall within the exclusive competence of the Government and Parliament. The maximum budget deficit accepted in the draft revision of the Constitution is limited to 3 percent of the GDP, while the public debt is confined within 60 percent of GDP. Foreign borrowing may be contracted only for investments, according to the draft. It also states that in case of a natural disaster or exceptional occurrence of significant negative impact on public finances, the maximum deficit and debt can be exceeded only with the agreement with the parliamentary majority. The Constitution revision requires the Government to organize presidential elections in maximum 45 days after the vacancy of the position, in the current Constitution the period being three months. The Parliament is obliged to give its investiture vote for the Government within ten days of the new Cabinet's appointment. President Traian Basescu has received the proposal to initiate the constitutional revision from the Government, which he sent to the Legislative Council for approval and will submit it to the Parliament.